Folks in eastern North Carolina love Purple Martins and I am one of those folks. My dad taught me to treasure these special birds. Every spring he watched for his Martins to return. And now I do the same thing. 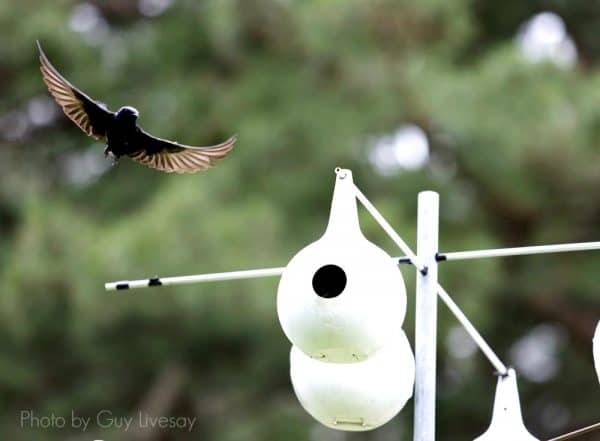 In March, a Purple Martin scout would come and sit on the bird house – these are special houses or gourds. Then in mid-April, if the scout approved of the accommodations, the “family” of Martins would arrive. By this time, you had better have your Martin houses or gourds ready! 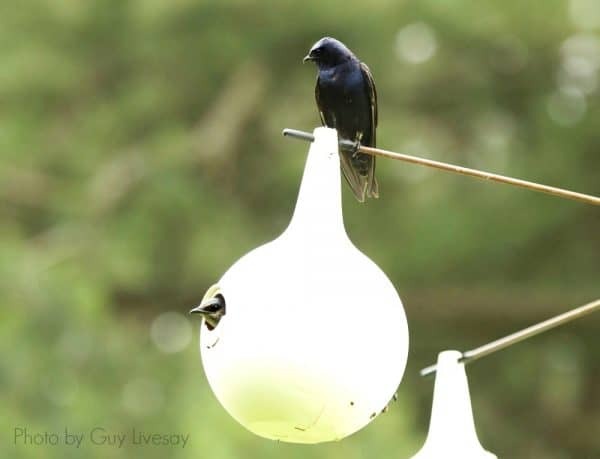 The houses must be built to certain specifications – my Martins seem to prefer painted white gourds. They demand a clear flight path and a water source. 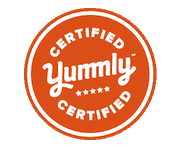 Of course, they like to have a good supply of bugs. If the Martins arrive early and we have a late freeze, they will suffer because there won’t be any bugs. Years ago, in late afternoons when we came in from the fields, we would sit and watch these purple, forked-tailed beauties as they darted through the sky eating bugs. 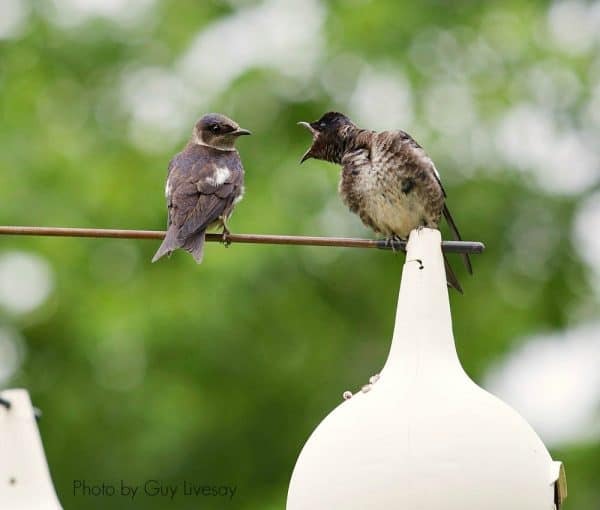 And here is where I drop the bomb … Purple Martins do NOT eat all those mosquitoes we heard they did; this myth-buster is according to the North Carolina Purple Martin Society. They do eat other bugs – forsooth. One day in mid-July when I’m walking in the garden, an eerie, dead quiet will greet me. My Martins have left, heading back to Brazil I suppose. But next year, they will return here to their nesting site. And Big Mill “Bird” and Breakfast will welcome them home.